When someone refers to me as a ‘skinny minnie’ I am quick to think that such phrase is so said out of context. In this day and age I think that too many people are quick to associate going to the gym with weight loss, but such conclusion isn’t always true. Sure a lot of people go to gym to shift some weight before or after a holiday, but a lot of people like me go for other reasons. When I left university I felt seriously weak- riding my bike up a small hill was a bit of a challenge and lifting the simplest things were exhausting. It got that bad I was starting to feel a little limp which of course isn’t healthy. So two and a half years a go I decided to change my ways and I wanted to get a lot stronger. Sure I may be ‘skinny’, but a skinny girl cannot squat 90kg comfortably on her own! So here is why the ‘skinny minnie’ phrase is so misused. There is a huge misconception that women picking weights will end up looking like a body builder, but this is far from the truth. Picking up weights and using them correctly has serious health benefits and you aren’t going to get that desired tone (that most women vision) just by running on a treadmill. But I do get why some women choose to stir away from the weights, I mean, stepping into a gym where there a lot of fuelled men can be extremely intimidating- especially when most of them flock around the weight area. But taking the plunge and just being confident is the key thing here, I actually get so much respect from the guys at my gym and they are so friendly and helpful. I find that if you go at a specific time each and every day you will find the same bods up there and you begin to form a relationship with them. Every week I get stronger by lifting weights and it is something that my old skinny self wouldn’t be able to do. Skinny girls… they must not eat a lot of food right? This is completely untrue. As I train between 5-6 times a week I often end up eating 5 times a day (smaller/moderate portions). When it comes to eating I really think that people struggle when it comes to ‘portion control’ (with the size of the plates you can buy these days you can see why it is hard). I am a huge fan of clean eating but I of course have days where I want to go for a GBK for dinner or eat a biscuit with my tea, I never ever have the attitude of ‘I can’t eat that’, I just eat ‘cheat food’ in moderation. 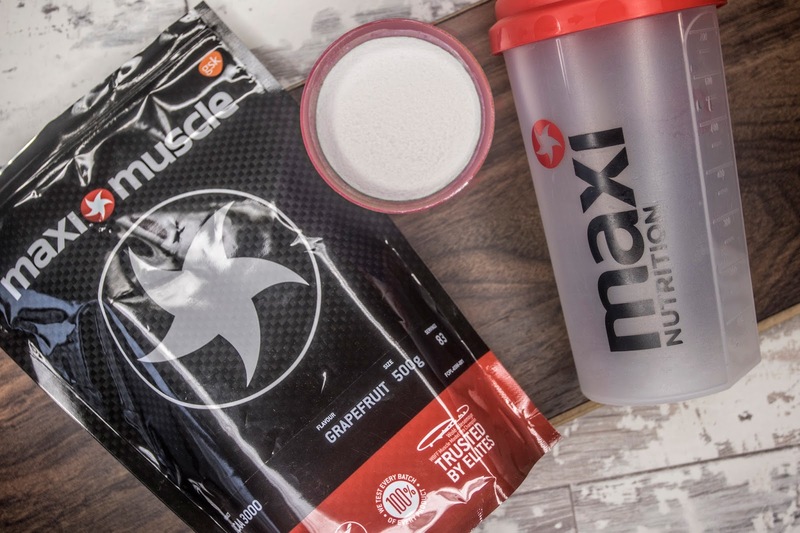 In addition to having a clean diet, I have written a blog post on my ‘Fitness Supplements’ in the past (click here to read that) but more recently I have been introduced to Maxi Nutrition BCAAs. BCAAs are a great alternative if you prefer flavour to your water during a workout and they have huge benefits in training too. 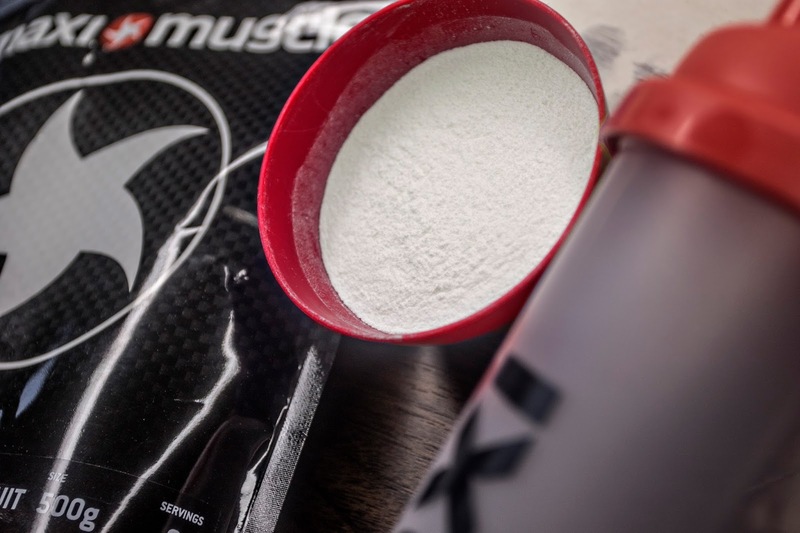 BCAAS help to ensure that you are burning fat and not muscle. They also help to increase muscle retention and trigger the protein synthesis (which is important for when you take a protein shake after a workout). I have been taking the Maxi Muscle BCAA 3000 in the flavour Grapefruit and I have been loving the benefits. Not only do BCAAs get me all geared up for a training session (great if you aren’t feeling motivated in this cold weather), but I have found that my abs are much more defined. Maxi Nutrition also have some other great products like protein shakes, so be sure to go and check them out. Will you now think twice about using the ‘skinny minnie’ phrase?